Nerve pain is one of the most debilitating types of pain a person can possibly suffer from. It can lead to an almost constant state of discomfort that seems to follow you around in your daily life, preventing you from enjoying the things that you once loved and completing tasks that you used to find relatively straightforward. At NeuropathyReliefGuide.com, our aim is to help individuals discover the truth about neuropathy and nerve pain, as we believe that having a good understanding of the problem is the first step towards finding a method of pain relief that works best. Your nervous system is made up of the peripheral and central nervous system. The peripheral nervous system is responsible for sending messages between your brain and spinal cord, and the remainder of your body. These nerves regulate many important functions, from voluntary muscle movement to involuntary organ activity and the perception of the sensory nerves. 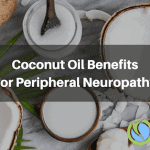 Peripheral neuropathy is a condition that occurs when those nerves become disrupted or damaged, and it's estimated that this type of condition currently affects around 2.4% of the global population. We believe that since neuropathy is such a common and debilitating condition, there should be a resource available online that is prepared to educate people on the topic. On our website, you'll find all the guidance and advice you need if you're searching for a way to relieve nerve pain caused by neuropathy or nerve damage. NeuropathyReliefGuide.com is a website that's dedicated to providing relief from nerve pain by giving you the education and insights you need to learn more about your current condition, what causes neuropathic pain, what you can do to help manage it, and the ways it can impact your life. Whether your pain comes from fibromyalgia, diabetes, or a host of other causes, this burning, searing, and shocking kind of pain can leave so many people feeling helpless and miserable, and we don't think that that is acceptable! Most physicians, unfortunately, aren't trained yet when it comes to treating nerve pain, and often resort to giving anti-inflammatory medications as a last-ditch resort. The result is that, since these medications aren't particularly effective against nerve pain, patients continue to live a life of discomfort and unhappiness over time. 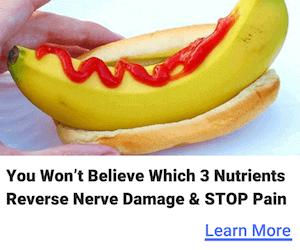 The good news is that nerve pain is highly treatable, and many studies have shown that everything from the careful consideration of various different treatment options, including medicine and natural methods, to the use of nutritional support and supplements like Nerve Renew can actually help to eliminate pain and heal the nerves over time. At NeuropathyReliefGuide.com, we'll provide you with reviews and information about the various treatments and solutions that may be available to help you deal with your daily discomfort, from holistic solutions, to comprehensive supplements that can be taken without any worries about side effects! We're a host of people who have dealt with issues of nerve pain in direct or indirect ways throughout the course of our lives. This means that we know just how damaging neuropathy and nerve damage can be to a person's life. Neuropathy refers to a wide range of problems that cause diseases and injuries to the nervous system, and neuropathic pain can occur as a result of diseases such as thyroid problems and diabetes, infections like shingles, pinched nerves, and even nutritional deficiencies. On the average, it has been estimated that up to 80% of diabetics will eventually suffer from some form of nerve injury, and around 40 percent of these can suffer from painful diabetic neuropathy unless preventive measures are taken, through things like exercise and nutritional support. We believe that the best way to fight back against the growing problem of neuropathy and nerve pain is to educate the public as much as possible about the problems associated with nerve damage, the symptoms that they might experience when neuropathy sets in, and how they can help to manage their condition over time without resorting to painkillers and medications that may come with unwanted side effects. Today, as with many different pain problems, neuropathies are often poorly treated by doctors, which means that it might be time to start doing the research required to look after yourself. Whatever the cause of the neuropathy that you are experiencing, we know that nerve pain is a serious and debilitating condition. People who have this condition often need a range of help, including combination treatments, prescriptions, and non-prescription therapies. At NeuropathyReliefGuide.com, our goal is to help you better understand the details of your own condition, as well as providing you with the guidance and information you need to make important decisions about the treatments you might choose to help you overcome discomfort and chronic pain. Our articles and reviews will give you information about the various painkilling medicines that you might be able to take to help manage the pain, as well as the side effects that might come with them. For instance, there's a risk that someone with chronic pain might begin to rely on painkillers too much and eventually become addicted. We will also provide you with information about supplements and vitamins, and the role these substances have to play in the presence of nerve damage. In some cases, vitamin deficiencies can lead to nerve related problems, and a change in diet, as well as the intake of supplements might help to repair damaged nerves and reduce discomfort. Our website is all about giving you the information you need to get more out of your life and improve your well being in spite of the presence of nerve pain. Regardless of whether you've suffered from neuropathy for a good portion of your life, or you've only just begun to experience the discomfort of neuropathic symptoms, we're here to help you better understand your condition, and discover new ways of dealing with the pain. From insights into therapies that might help you to overcome your discomfort, to methods of repairing damaged nerves completely, NeuropathyReliefGuide.com is here to help.